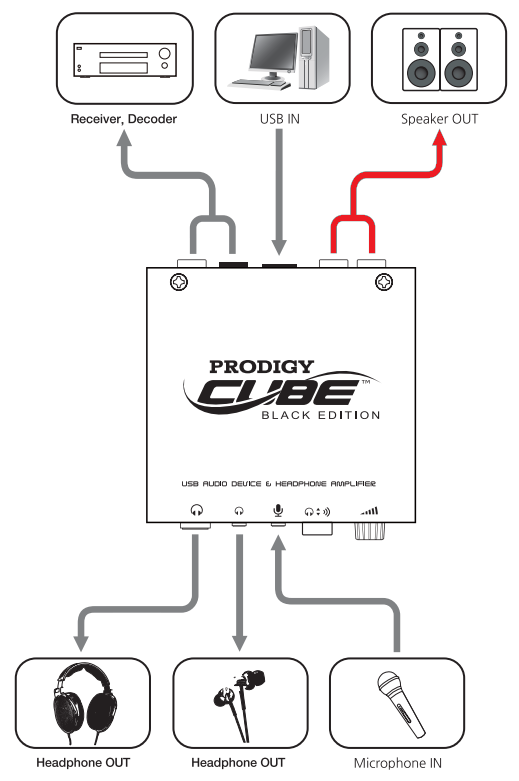 QnA - How to hook to an amplifier with Prodigy Black Cube ? How to hook to an amplifier with Prodigy Black Cube ? I bought an Objective2 amplifier. Currently, I have connected my Prodigy DAC to the O2 by RCA, but I find some distortion on it (although it may be because I found that I had some ground looping too). I'm afraid to test the other 2 outputs, I dont want to damage anything. So, my question is, what is the proper way to connect this dac to an amp ? First of all, you need to check whether your CUBE and RCA cable are normal or not. When using the O2 amplifier, if possible please remove the adapter and use them to Low Gain. I'm using the Line Out and an Amazon Basics RCA to 3.5mm 1meter cable, the line out I believe is a non amplificated output. I will try the 3.5mm jack output then.